VZDV has embraced and has extensive knowledge of BIM as a part of an integrated design process to PAS 1192-2:2013 generally to BIM level 2. 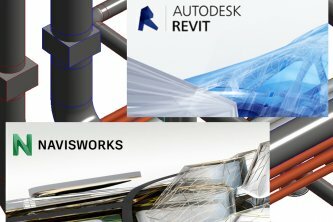 VZDV uses the latest Revit Design Suite and Navisworks Manage as design packages and for clash detection. All modelling is done on a coordination view with all services and structure visible. A fly through is conducted by the design engineers when modelling is complete, before final issue of the model. All drawings produced from the model are checked by the design engineers in accordance with VZDV quality procedures.